Firstly, a thank you to Ashley Fulwood for the years of continued and escalating interest in what we do. 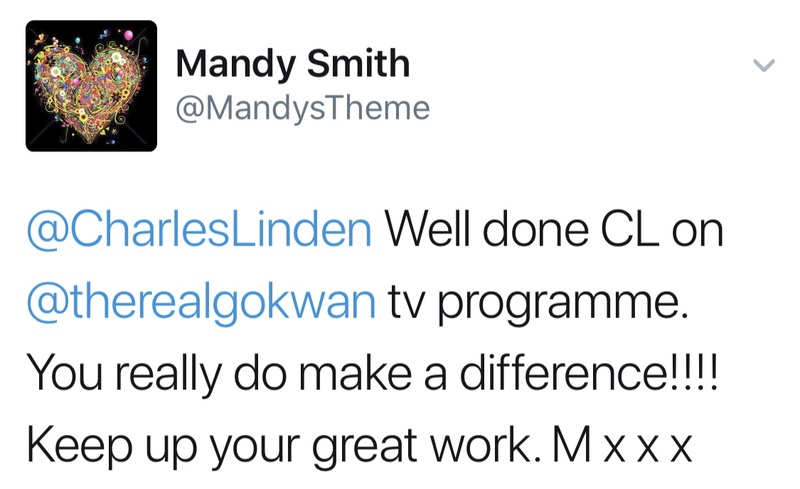 It is fascinating how much time you and your chums dedicate to bringing negative attention to me, my team and my organisation, but what is really satisfying is that of all organisations, you all chose mine... which means that we must doing something RIGHT. We are responding to your silliness because we believe people need the truth... not versions of the truth spun to undermine people, services and ultimately... recovery. You see, we cure people... you don't. You NEED sufferers because without them, your 'club' would collapse. They will never promote what actually works... they only promote what doesn't. But they all make serious incomes from it, so you can understand their need for members, albeit misguided and selfish. It is curious that despite not having ONE testimonial of recovery on Ashley Fulwood's own organisation's website and continuing to suffer from OCD to date, according to Ashley's recent posts, he chooses to criticise and write about us with such delight, excitement and clear intent. 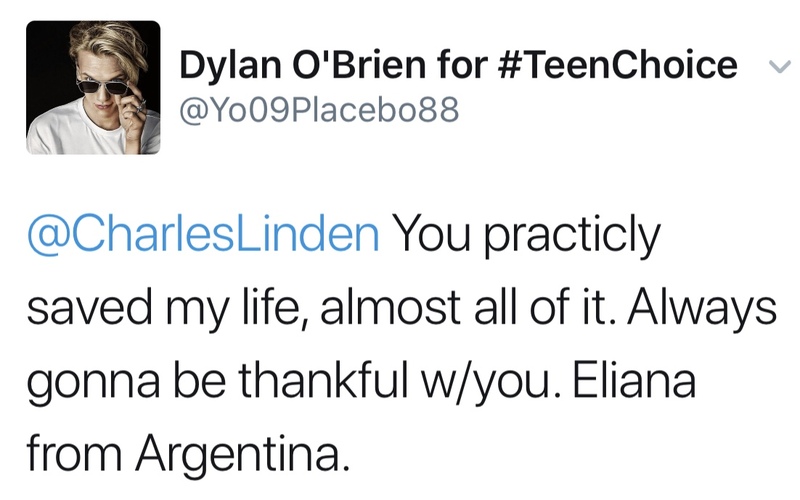 You see, Charles Linden had severe OCD for 22 years from age 4 and he recovered age 26... fully recovered. Then he took that knowledge and created a recovery program that has since cured tens of thousands of OCD sufferers completely. 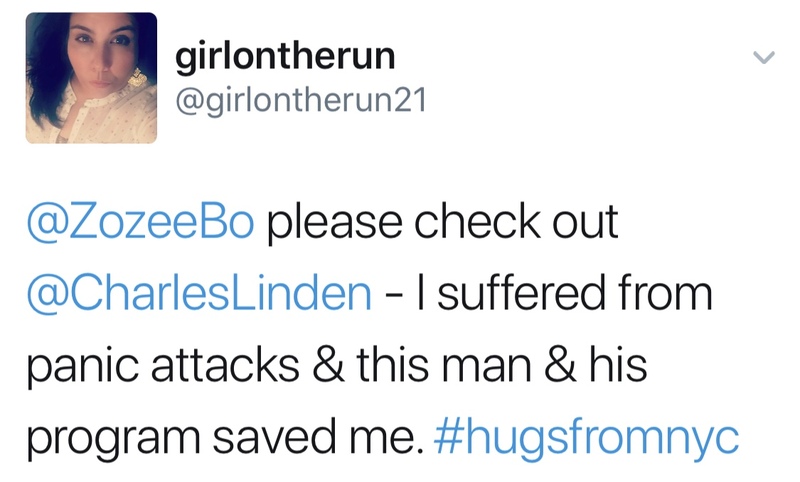 In contrast to his website which is, at best, a list of NHS and printed resource for sufferers to refer to, our websites are packed to the brim with real testimonials from real people to whom we have brought welcome relief and medical doctors and psychologists who recommend and support us. Other than posts about cycle riding fun, we can't really identify what the organisation's purpose is or how it benefits OCD sufferers in any positive way. Ashley has a number of people with whom he interacts socially online and off, who have received police harassment warnings and other legal redress for their conduct over quite a number of years. Ashley plays it a little 'smarter'... but he still 'plays it' and ALL the people involved are the subject of an ongoing criminal and civil investigation and action for Conspiracy to Harass, Cyber-stalking and cyber-bullying. We quietly go about inspiring people, presenting positivity and creating transformation because it's what we love doing. They spend hundreds of hours trying to undermine what we do for vulnerable, anxious people. Ashley has no professional privilege, so his comments are unfounded and made on the basis of no formal training in education, psycho-educational learning nor the sciences of the brain concerned with the curative process and successful removal of the disorders that we achieve at LTE. We know how to cure OCD and we do so every day with clients all over the world - If OCD UK has good intentions, we would love to work with them to bring recovery to their members and site users. Like all clubs, OCD UK wouldn't exist if we cured every sufferers, so we suspect that this selfless offer will be ignored. 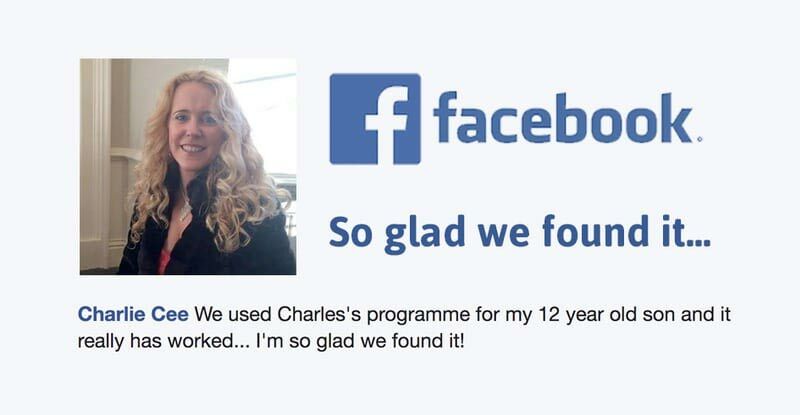 Ashley Fulwood has a successful business in his OCD UK charity, but wouldn't it be great if instead of recommending what is clinically ineffective, they offered their members the opportunity to do what does work... evidence based recovery. 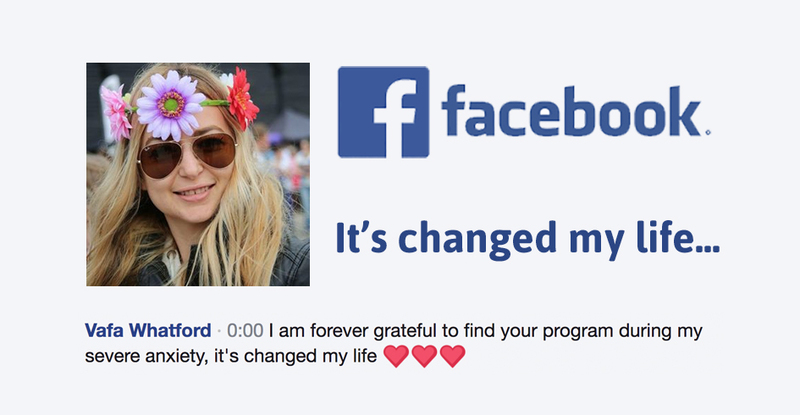 It's clearly more fulfilling for them to prevent people like those featured on this page, from receiving the recoveries they experienced due to our programmes. I mean it's a joke isn't it, to recommend the 'gold standard' and continue to publicly state how much he suffers despite having had the 'gold standard' of treatment? One of his friends is 'Captain Gold Standard' and 'Admiral of Evidence Based Practice'... but still he continues to suffer... meanwhile, our clients recover. Hmmmmm. VERY ODD. 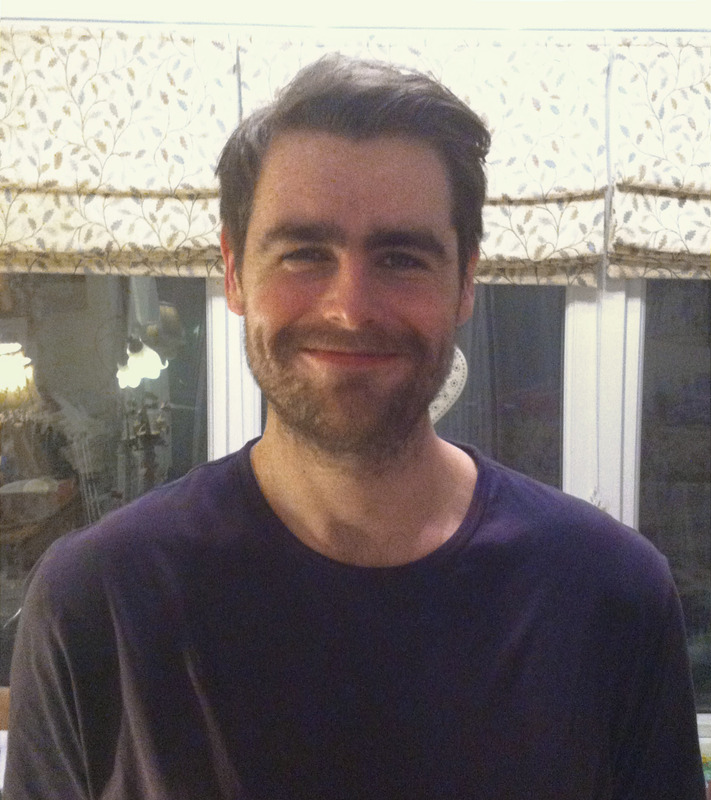 Despite OCD UK's Ashley Fulwood still suffering from OCD, his organisation is set up to 'help' sufferers. We cannot find a single person who states that OCD UK has helped them to recover. Here are just some of the 1000's of people who have recovered using our programme and support team. 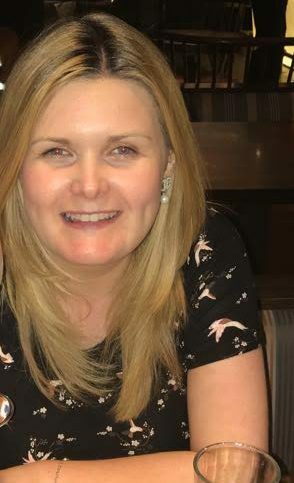 “I would have pain in my chest, convinced I was dying and felt like my throat was closing… but OCD recovery was almost instant for me”My name is Michelle, and I am from Scotland. I would like to tell you about my experience with Anxiety disorder and my OCD recovery. I suffered from anxiety for so long it is hard to pin-point the exact time in my life when the symptoms started. My earliest memory of feeling anxious is when I was 9 years old and still at primary school. I would have panic attacks and I remember having a constant burning feeling in my throat. Over the years the symptoms got worse until I finally found the help that I needed when I was 35 years old, over 25 years of suffering. Ashley Fulwood called his article: "Charles Linden, The spin debunked." Dictionary definition: Debunk: verb - To expose the falseness or hollowness of (an idea or belief). Ashley Fulwood must be more careful - he has 'debunked' nothing, but his blog's title is accusing our organisation of publishing falsehoods. That's not a good start Ashley. Ashley is not in a position to debunk our claims. His statements are false and offensive, churlish and petty but, he is also, not qualified to comment on our professional educational provision. In fact, as far as we can see, he is not qualified in any branch of psychological practice or indeed, anything else. Professional privilege only holds within a person's field of expertise. Ashley doesn't have professional expertise. We are an accredited educational organisation and work in partnership with Trading Standards in Primary Authority. We are an NCFE accredited educational provider. 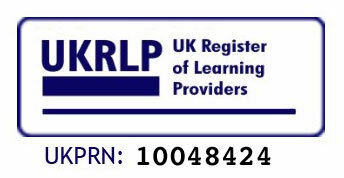 We are registered as a UK educational provider with the UKRLP. Our team are all MBACP psychotherapists and/or BPS psychologists. Our team are all LAR accredited. We are members of the Association for Coaching. Our programmes are NICE compliant. Our programmes fit into the NHS' IAPT. Our trials were created with the NHS. Every now and again I am asked if I recommend ‘The Linden Method‘ for the treatment of OCD. It may surprise some, but I rarely say no. Instead I simply suggest if the person wants to give it a go and it is not out of their budget then by all means try it, but I warn them not to be fooled by the ‘spin’ on the website. I do actually go on to say that there are better treatments and therapists out there that I would recommend.So the other night I was talking about the Brexit referendum and the misleading campaigns for leave and it instantly made me think of Charles Linden/The Linden Method and the misleading ‘spin’ I keep being shown by different people, so I thought that it was about time I addressed some of those.I’ve long been a critic of Charles Linden and his approach for dealing with feedback. I have observed from a distance the lengths he will go to silence or discredit critics. I truly believe if The Linden Method is so good, it will stand up to critics and criticism. After all, he frequently critiques other therapies, so The Linden Method should not be above critique either. Which is the purpose of this blog, to highlight and rebuttle (spelled incorrectly) some of the ‘spin’.But before I address the spin, I actually do agree with him on one point. Recovery means total freedom. Never compromise. Never wait. Never believe it isn’t possible. 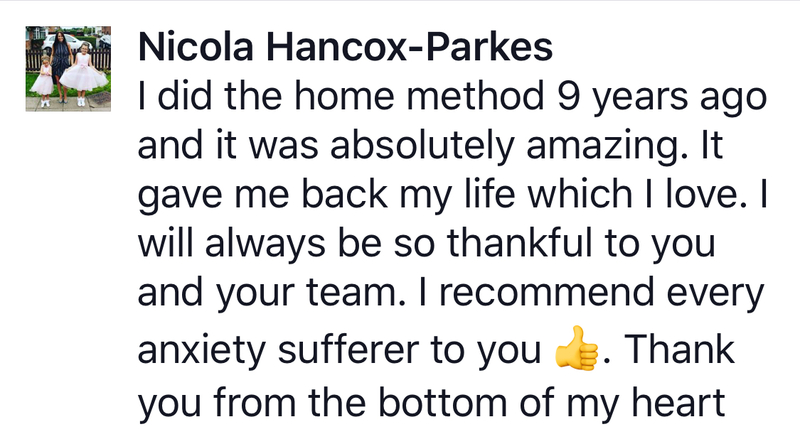 Never trust those who talk of coping or management.The fact is, people can and do get better, people can recover from anxiety disorders like OCD. But, the method of how we get there is where we differ, and why I think some of Linden’s claims are misleading, so here are my top 5 (current) misleading Linden claims/spin. We do not use 'spin' or try to 'fool' people. This accusation is, in equal measure, ignorant, offensive and litigious. We are Trading Standards partners in primary Authority, which means that every word of our website, business practices and policies have been vetted by Trading Standards and passed as 'truth'. We do not try to silence critics Ashley, I suspect you are referring to your acquaintances who received police harassment warnings. That isn't an attempt to silence critics, the police only take action when they determine that someone has acted outside of the law, which is why we reported them. We have never done anything to silence criticism, but we will always report you and anyone else if they chose to write and state actionable comments. We have taken legal action against people who publish churlish articles that claim that we are breaking the law. Isn't that what the law is there for? To protect people like us who are the subject of unwanted attention from bullies, trolls and other idiotic acts. Re budget - TLM costs £159 for all of the resources and unlimited access to qualified Mental Health professionals. How much does CBT cost? You recommend CBT on your website Ashley - It's around £45 per session and a course is 6 sessions - £270 - and it doesn't work. So actually, our course, which does work, costs less. You state that recovery is recovery but you state that 'how we get there is where we differ... but you're not cured Ashley, despite being best pals with the god of OCD recovery practice and surrounding yourself with, as you believe, such incredible, successful therapies. You don't post any stories of recovery or recommend recovery programmes on your website and yet you have a difference of opinion about how recovery is achieved? That's odd given that you clearly don't know how to achieve it. The Linden Method is the world’s only accredited, dedicated anxiety disorder recovery therapy. No other process exists that is recovery focused and accredited to lead sufferers to full and lasting recovery. Well where do we start? If you watch any of Charles video’s you will hear him waffle with a few words of relevance, but deliver very little of substance. I think this claim is pretty much of similar deliverance.I would challenge that The Linden Method is the only dedicated anxiety disorder recovery therapy, I think it’s fair to say that CBT (Cognitive Behavioural Therapy) is completely recovery focussed. The whole point of CBT is to help a patient deal with their problems here and now and to focus on helping them lead a full and lasting recovery.But moving back to the first line, notice his use of the word accredited (and in the second line), this seems to be the crux of all that spin, he’s claiming his method is the only accredited anxiety therapy. So let’s look at the accreditation. 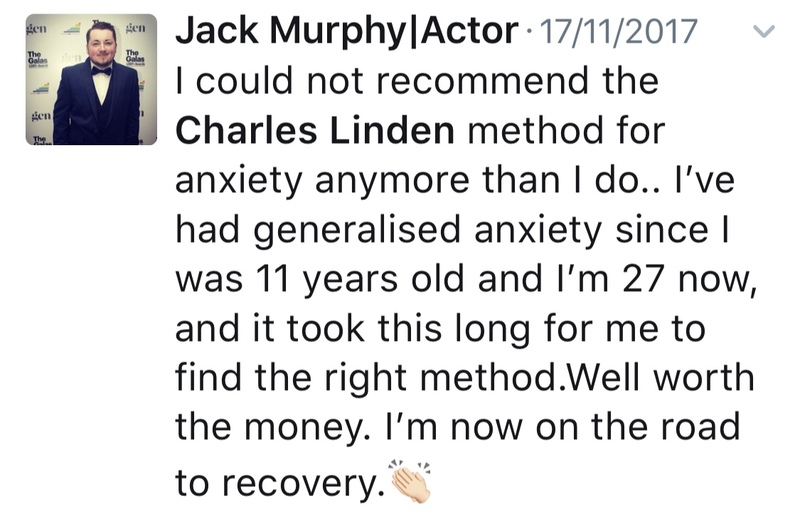 He then goes on to claim “The Linden Method is powered by LAR ‘Linden Anxiety Recovery’ The only accredited, dedicated anxiety disorder recovery therapy”. So where does the accreditation come from?It simply means that the Linden Anxiety Recovery training (for their associates) was awarded NCFE accreditation. But NCFE is not a medical accreditation body. So the bottom line when you work through the spin is that yes there is accreditation, but actually doesn’t mean anything, it’s not medical accreditation which is what we should be looking for. We will ignore the churlish ignorance and playground-style personal comments. They're just silly. We will only focus on the facts. CBT is NOT an anxiety recovery therapy - It was developed a long time ago by very confused scientists utilising false science to build a business model. No one has ever recovered using CBT, indeed, Ashley Fulwood himself, according to his website, still suffers with OCD and yet one of his closest friends is said to be the country's leading expert. Any neurologist would be able to clearly explain the very evident flaw in CBT's science. Anyone thinking of trying CBT would be well placed to read up on the true science of fear and the emotions because CBT will simply make you worse or, at best, hold you in your disorder... you might as well take an aspirin. The NCFE is NOT a medical authority, you are correct Fulwood. But then LAR and TLM are psycho-educational programmes, not clinical so the accreditation comes from an educational awarding body. In truth, Ashley Fulwood, you are the only person who has ever raised this concern and that's probably because it is very clearly explained across all of our websites and due to your lack of any relevant qualification, you would have simply not understood. Again, claiming to 'debunk' 'spin' is only effective when you are actually correctly informed Fulwood. Trying to debunk something in blind ignorance is a bad idea at best. It just makes you look foolish and passive aggressive. So our practitioner accreditation at professional, NCFE Level 4 does actually mean something Ashley Fulwood. It means that LAR is a therapy delivered by professionally accredited recovery therapists. Hello, my name is Sean, and I’m from Warwickshire. I suffered from anxiety for about a year at the age of 26; the anxiety prevented me from doing so much. I was trapped inside my house, and even my room, to the point where it was like my own prison. The anxiety really controlled my life; I stopped seeing friends, I couldn’t go out for meals or even something as simple like going for a walk. I have become an Ambassador because of how successful The Method has been for me, and how it has affected me personally. I wanted to be part of something that I believe in, and know it works! I want to help get it out there for other people who are currently suffering, it does work, and you can get better. So please just do it, whether it is the Home Learning Programme or The Retreat, it will give you your life back. Independent University Led Trial Results. The most recent trial carried out at Copenhagen University saw incoming clients reduce their anxiety levels from an average of 18.24 (severe) to 2.84 (normal) by doing The Linden Method Program. This one is really simple, Charles claims that the research at Copenhagen was independent, but it was anything but independent. The trial was reported on Linden’s website to be led by Psychologist ‘Martin Jensen’ University of Copenhagen. 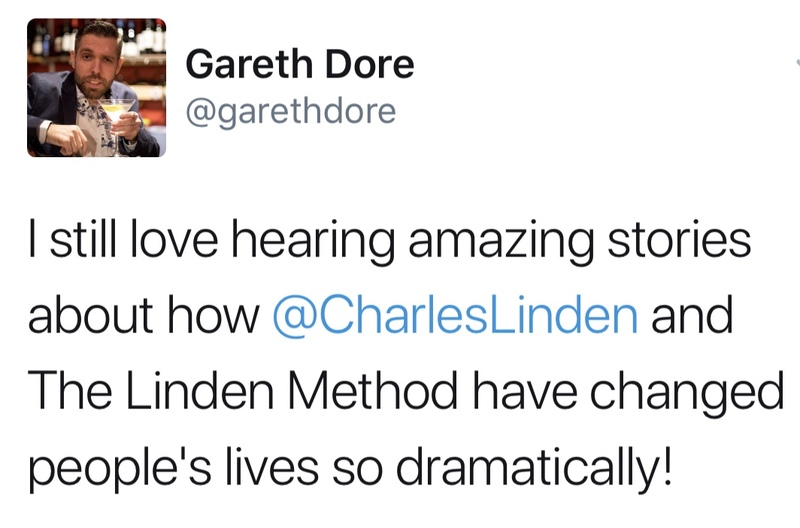 What Charles fails to mention on any of the pages where this ‘independent’ research is referenced, is the fact that the same Martin had been and seemingly still is part of the Linden Method. According to another of Linden’s websites “Martin is our TLM Director in Denmark and is a qualified psychologist. Martin’s experience as a Linden Method Coach and also as an educator is only matched by his wonderful personality and mind.”There was also issues with how the participants of this independent trials were selected as Professor Paul Slapskokspis mentions in his blog here and here. 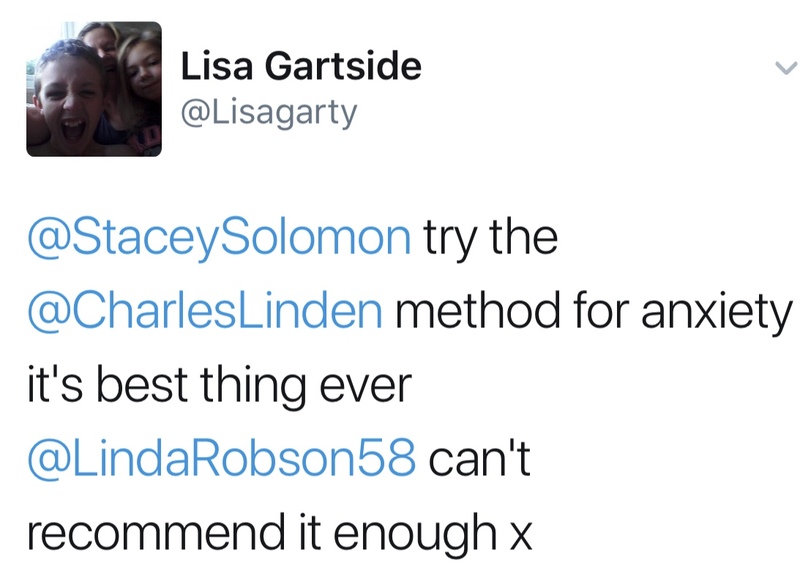 So, has the Linden Method been the subject of independently led university trials? Not that we can see, no. Yes Ashley Fulwood, 'simple' is right. Martin Jensen DID once assist us with TLM in Denmark, but at the time of running the trial, he was working and studying independently and had, for over five years, NOT worked for us or received any funding before or after the trials were carried out. The trials were independent. The subjects were selected randomly and every aspect of the trial was specified and checked by the NHS including Martin's involvement, which they said was no issue at all. The IBM data analysis machines at Copenhagen University were used with the university's knowledge and Martin presented the data professionally in accordance with professional standards for research. 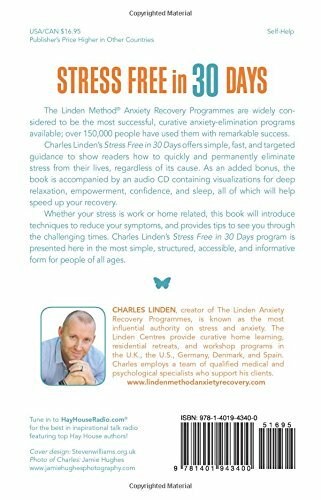 On his website, the quote emanating to come from Hay House Publishing is that Charles Linden is the world’s most influential authority on anxiety. So last year I emailed Hay House to ask why they made such a claim, this was their reply.. “I can confirm that Hay House didn’t make the statement that appears on the site you reference.”So is Charles Linden an influential authority on anxiety? Well to the person who wrote that quote, maybe! But it was seemingly not Hay House according to them. "Known as the most influential authority on stress and anxiety" - there are also other highly complimentary comments made by Hay House on this book cover and across their websites. Eating your words yet Mr Debunker? Whoever you spoke to at Hay House was badly misinformed but then that served you well didn't it Ashley. Who did you speak to? The cleaner? "Can talking therapies like CBT or counselling cure anxiety? NO. In fact, talking therapies will either a) prevent recovery or b) increase your anxiety." 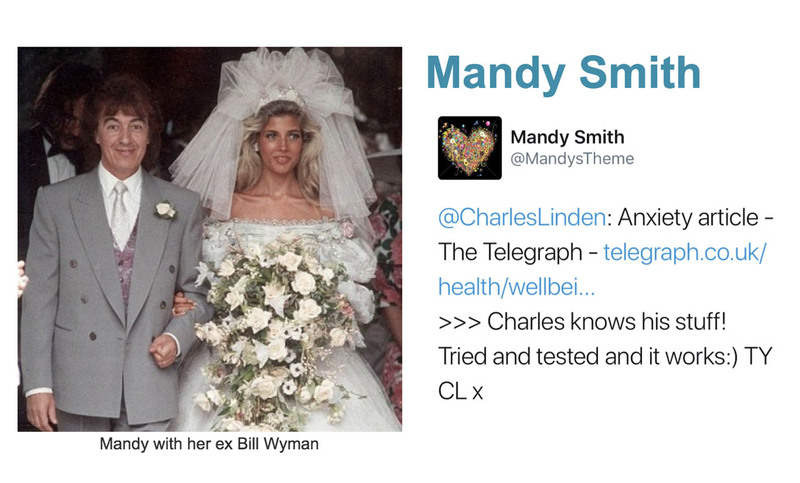 So here is another great example of Charles being critical of other therapies (which is fine), so this is why he must be prepared to accept critiquing of his method and claims. Can CBT or counselling cure anxiety? No. I agree in the respect that every person alive will have anxiety from time to time, so we’re not aiming to ‘cure’ anxiety or stop anxiety. Anxiety can be helpful in some rare situations. But what CBT can do is help a person cure their anxiety ‘problem’.As for the claim that talking therapies will prevent recovery or increase anxiety, well of course any therapy done badly could be problematic. But, certainly if CBT is done correctly then it can a) create recovery for the patient and b) help them lower their anxiety and remove the ‘problem’. This demonstrates the level of ignorance spread by organisations and people who should know better. So as any half-decently educated adults knows, there is just ONE of every emotion... do you really believe, Ashley Fulwood, that in fear's case, we made an exception and gave it two names? Fear AND anxiety??? Anxiety is a disorder. Fear is an emotion. If someone has anxiety, they have a disorder. Normal, appropriate fear responses are what we at TLM and LAR return people to. The reason this is so foreign to Fulwood is because neither he nor the majority of OCD UK advocates or users are OCD free. 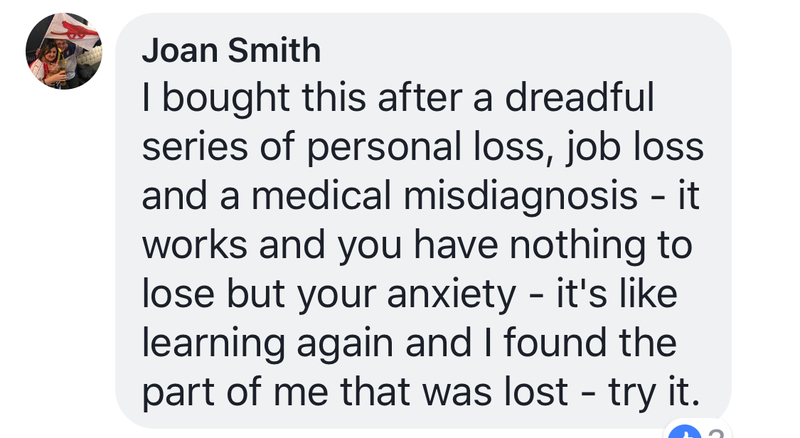 Whilst we cure people, other organisations that profit from maintenance of patients' anxiety do their best to prevent the truth from spreading. What's interesting is that you say that CBT will create recovery if done correctly... clearly your CBT friends, including your own charity's Professor Slapakokpis are, therefore, doing CBT, as you say, 'badly' ... they must be because if we are to believe you statement, "CBT done correctly creates recovery"... you'd be cured or am I missing something? If you with all your OCD UK connections can't recover using CBT, how do you have the gaul to recommend it and espouse its efficacy? Odd. BTW, this page is filled with OUR clients who HAVE recovered... so HOW DARE YOU try to stop innocent people from trying what may cure them by attempting to 'debunk' us with your silliness! Talking therapy, by its very nature, will perpetuate and potentially exacerbate an anxiety disorder... did it cure your OCD? No. Hello, my name is Aimee and I am from Manchester. 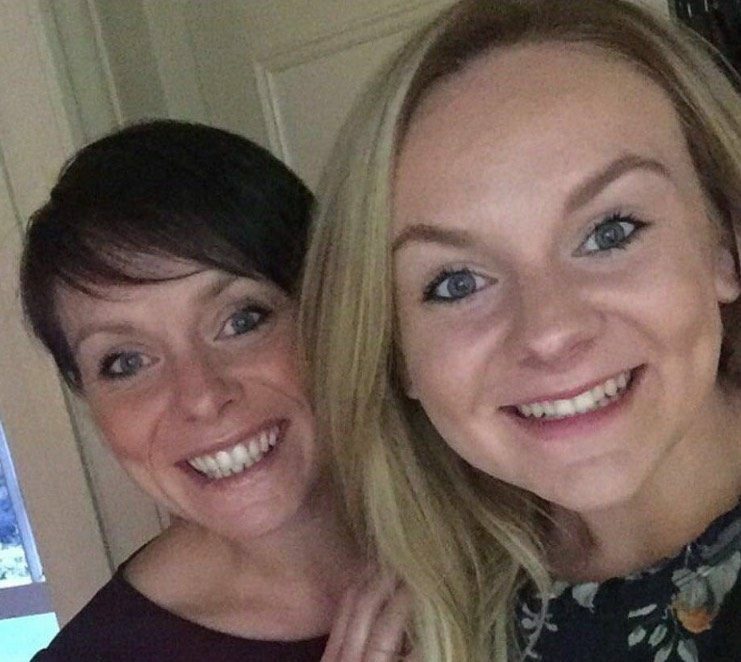 My daughter suffered from anxiety from the age of 7 to the age of 21. Her anxiety prevented me from living my own life really. I was constantly on guard and ready to be needed as I so often was by Mollie. I wouldn’t go on night outs very often and if I did all I would constantly be thinking was whether she was ok. I never really left the house when she was in as she always needed to be near me, seek reassurance from me. Her ‘safe place’ was at home but that had to be with me so I was very tied and did very little other than be with Mollie. Since following The Linden Method Mollie’s need for reassurance has all but gone, she is able to go out now without any fears. She can travel in cars and has booked a holiday abroad, the thought of getting on a plane is something that was just beyond her imagination before, in fact she booked and paid in full for 2 holidays prior to the retreat that she lost all the money on because she just couldn’t have gotten on the plane. "I am not a psychologist but I suffered for 27 years and have since helped well over 20 million people with my materials… 200,000 plus with the home learning program alone." Where does he get these numbers from? I can’t claim that these figures are false, they may well be true, but again it’s all in the spin. 20 million? Even if that is simply a combination of figures from people watching his various videos, reading his websites or buying The Linden Method, there is a world of difference between buying/viewing the materials and those same materials actually helping people. I viewed much of the materials and they didn’t help me at all. Is there evidence that 200,000 were helped by the home learning programme, or is that simply a sales figure? It sounds impressive, but when you remove the spin it doesn’t mean much. 260,000 people have used our home access courses. Over 2500 have used our residential programmes. Over 6000 have used our workshops. Our DVD sets, books and CDs/audios have been purchased by over 120,000 people. Our online video, audio and written resources have been joined and accessed by over 44 million people. No, you are correct Fulwood, you cannot claim these numbers are false... so how have you debunked this in the absence of evidence? Let's face it, it's not a debunk, it's a 'dig' at us based on ignorant assumptions. Furthermore, to access the materials you have to be a member unless you have accessed them illegally. Fulwood is not a TLM member nor has he accessed all of the materials and support. OK Fulwood, let's call it 'spin'... OCD UK is nothing... you have no proof or statements that anyone has ever truly benefited in any way from anything you have provided... a bit of reassurance... some kind (but often misguided) words... but have you cured thousands of people? No, of course not. BUT WE HAVE! So there you go, my attempt to debunk some of Charles Linden’s claims, I will let you make your own mind up. 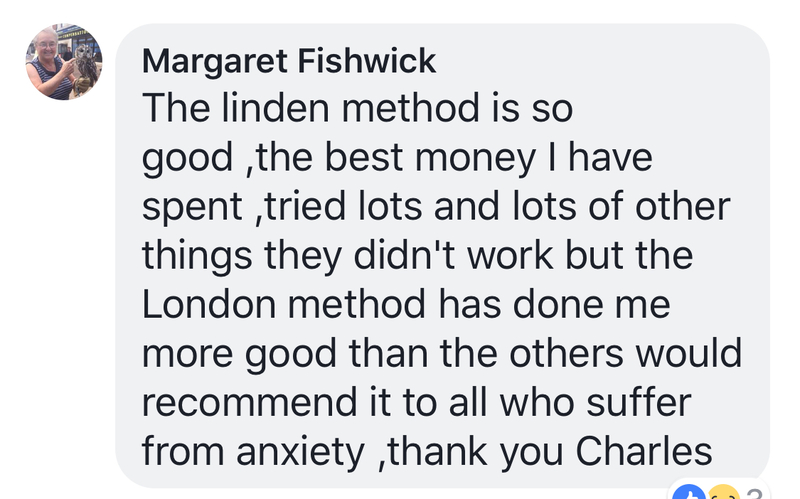 But these are just some of the reasons why I and to my knowledge all the existing anxiety charities like OCD-UK, Anxiety UK or No Panic or other independent anxiety forums stop short of actually recommending The Linden Method. We can’t all be wrong, can we? What is HIGHLY relevant is that they are preventing people’s freedom of choice.The above quote came from a post made recently on Charles Linden’s website, and he is right, we must not prevent people’s freedom of choice. The post on Linden’s website starts by seeming to suggesting people who are critical of his the Linden Method are guilty of unprovoked and unwanted harassment and bullying. He goes on to suggest that unless those people sign an agreement, they will be sued with legal costs costing a minimum of £30K. I am not privy to everything that goes on with Linden, there may be issues of individuals overstepping the mark, but I fear he confuses challenging his claims and critiquing his claims/method with harassment. 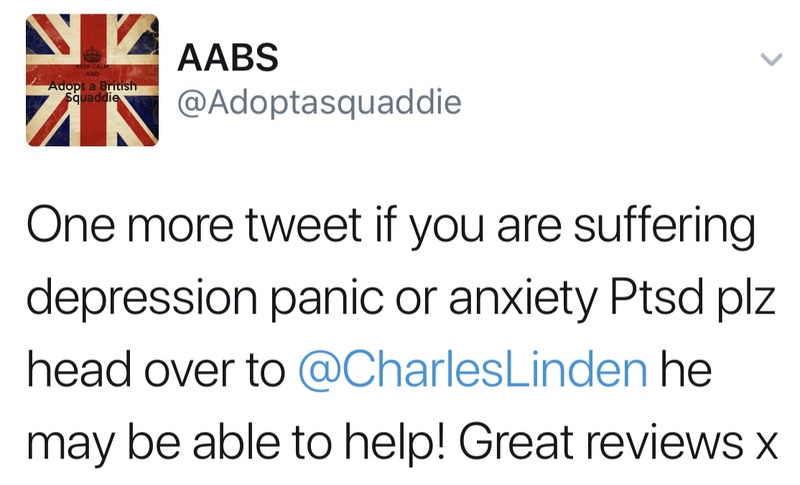 If Charles is free to critique talking therapists and makes outlandish claims about his Linden Method, then it should never be above fair constructive critiquing. 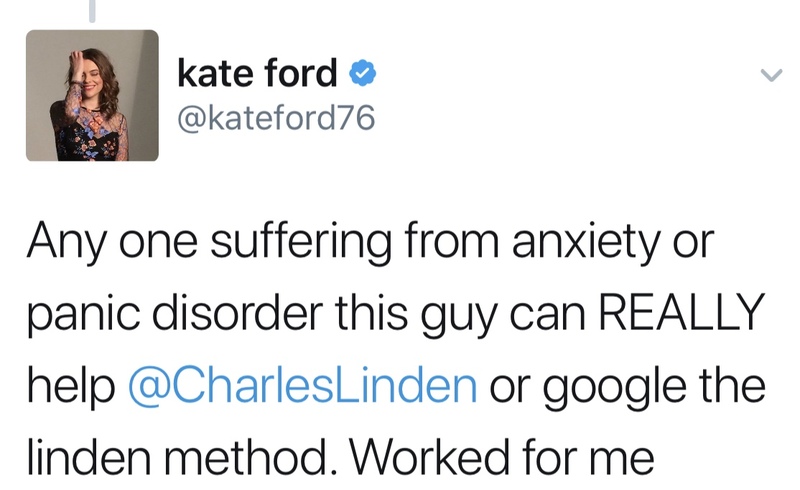 Like Charles writes above, challenging critiquing allows people to make informed choices when deciding on their treatment, and gives people a freedom of choice. Yes Ashley, you can ALL be very, very wrong - Your charity is a business that relies on suffering. If you and those charities have brought the level of relief we have brought to people's lives, show us. Get your cured members and supporters to write testimonials and record videos to state they are OCD free. 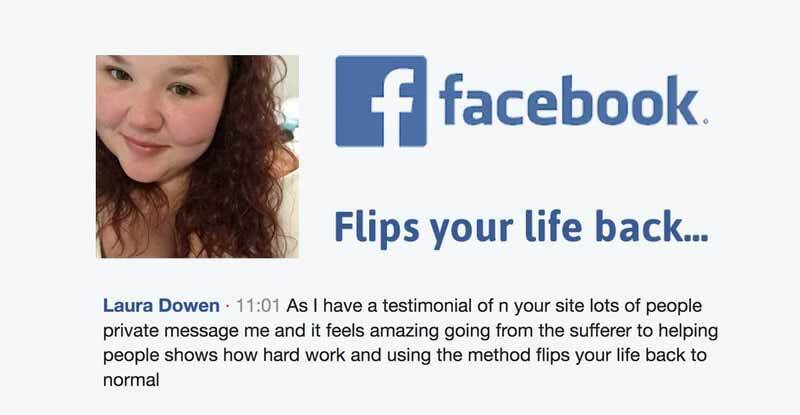 Why don't you post our thousands of testimonials on your website with biogs and contact details of our qualified practitioners and see which of your 'members' or followers contact us. 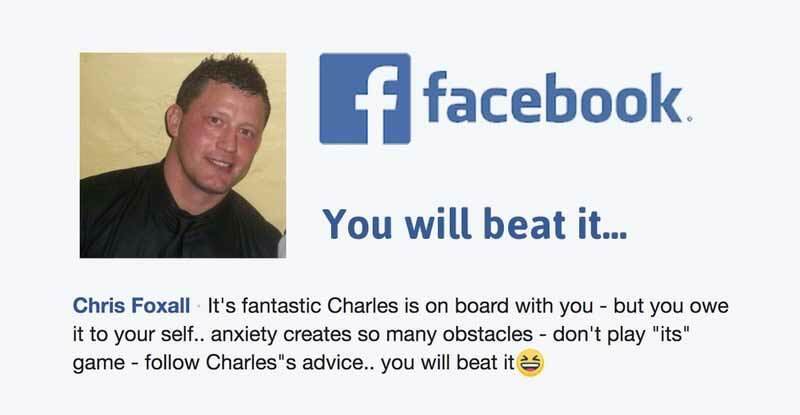 Charles is totally OCD free as are the majority of his ex-OCD suffering clients - Why aren't you? Your cycling buddy must be useless if he can't cure his 'mate'... We've cured thousands with OCD... the evidence is everywhere. Who would sufferers rather take advise from? Other sufferers.... or professionals who have suffered, recovered and shown thousands how to recover? With regard to 'critiquing' - we are fine with critiquing but as is evident here, you and your cycling friends seem hell bent on using passive aggressive language, falsehoods and accusation instead of adult, intelligent presentation of science and facts. If you want us to, we can list your social media and real world friends and paste hundreds of examples of the vileness our staff, families and organisations have had to tolerate... the threats, the insults, the lies. We have never made outlandish claims about The Linden Method - our Trading Standards partnership would make sure of that, but anyway, just because PS and you want our claims to be false, doesn't mean they are false. You state that you are critiquing but you are not, not only are you not qualified to understand the science, but you you are a competitor offering nothing at all that benefits a sufferer curatively. Furthermore, if your critiquing were accurate from a scientific perspective, you would be turning people fully away from CBT for which there is no curative efficacy data. Evidence based practice? Really? Idiotic. Does it do good things? Who knows? 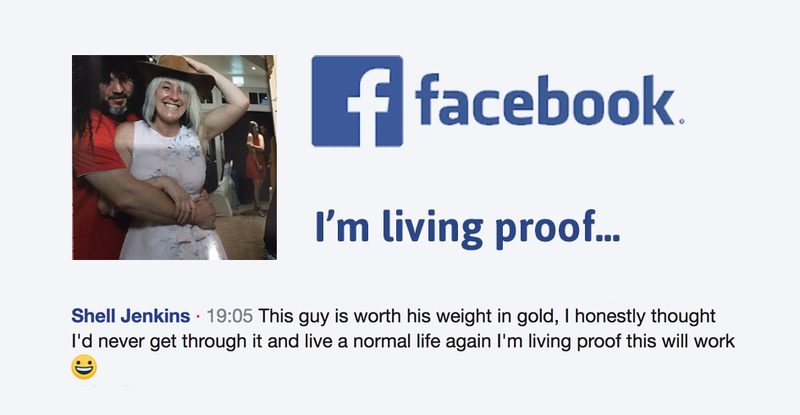 There don't seem to be any testimonials of recovery. How does it spend money raised? Who knows? I can't see where the money is spent. Is yours and every other charity's website full of happy smiling cured people? Not that we can see. We have cured thousands of people who no longer need your services - is that a problem to you? Re 'fair critiquing' - Ashley Fulwood, your article suggesting that Charles Linden is fooling people with lies. I think our responses here clearly highlights just how wrong you are. 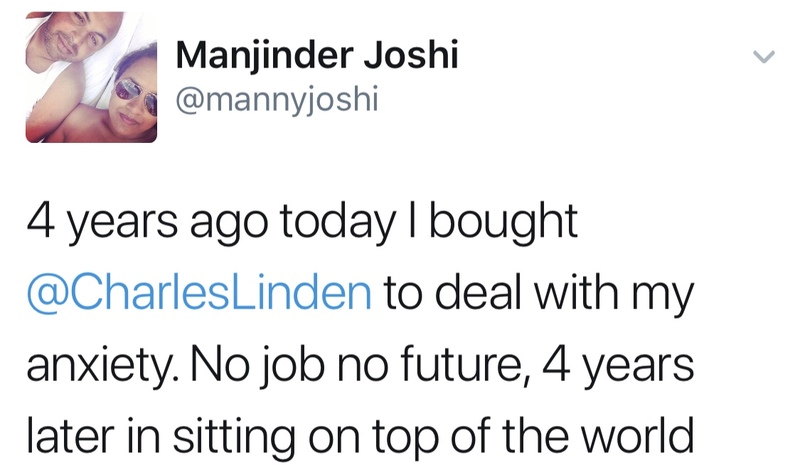 Charles and the organisation have always welcomed fair, intelligent and calm debate, but we will not entertain the obsessive attention that you and your social media and cycling pals have rained upon our staff, business, reputation and good name. It's just pathetic for grown men. Just so as you know, we have the transcript of the telephone call you made to Charles and 6 witnesses to the call, plus the signed statements from all who heard it. Oh dear! Mr Fulwood... please get on with your job running OCD UK which clearly furnishes you with a lavish lifestyle and, what seems like, very many holidays, whilst we continue our good work and produce the many tens of thousands of smiling faces evident in our testimonials, in our clinical team's job satisfaction, in our celebrity clients' reviews, in the support and referrals we receive from NHS and private psychologists, psychiatrists and GPs who observe the recoveries we produce in our patients. Where are your photographs of all the OCD and anxiety free people you have cured? Where are your professional qualifications? How much do you earn from forming OCD UK which doesn't, as far as we can see, cure OCD or other anxiety conditions. OCD UK is an organisation run (on the whole) by sufferers for sufferers... not the most positive environment for those wishing to recover is it? On your website you state over 6 years ago that you are nearly recovered and that you hope that 2011 will bring your recovery, but this year you have stated the same. You surround yourself in, so called, 'evidence based' theory, practitioners and advocates of the therapies you espouse the effectiveness of... and yet, it seems that, you still suffer, as do the majority of your OCD UK service users. But, you seem to enjoy undermining and accusing people who DO produce recovery. Why is that? Our organisation is run by ex-sufferers and support is provided by qualified psychologists and psychotherapists who have also recovered... chalk and cheese Mr Fulwood... Chalk and cheese. Below are just a handful of our happy clients from the many tens of thousands. These are from facebook posts... feel free to scour OCD UK for anything vaguely similar.